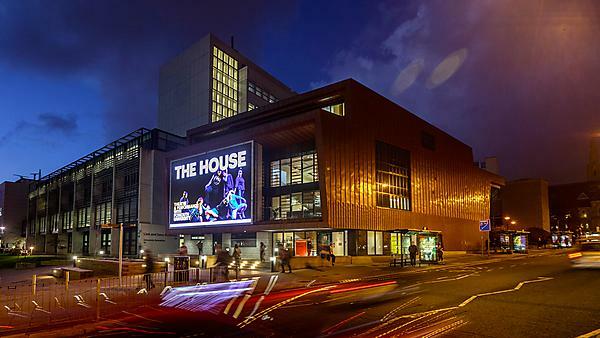 The House is a state of the art performing arts centre located in the city's central quarter, adjacent to the Plymouth City Museum and Art Gallery. Opened in October 2014, The House is a 200 seat flexible studio theatre, built to the very highest technical and sustainable specification. Its facilities are world class and it is fast attracting some of the best national and international artists. Built primarily as a training facility, furthering our commitment to investing in world class research and creating outstanding student opportunities, this stunning building enhances the University's growing reputation for artistic innovation and excellence. The House has a diverse programme of contemporary performance which is open to the public and can be available to hire for private events. and is also available to hire as a venue for arts, workshops, corporate and other events. For hire enquiries, please visit our hire a space page. For more information about what's on at the House and book your tickets please visit The Arts Institute Box Office. We're based on the University campus opposite Plymouth City Museum and just up from The Levinsky Gallery off North Hill. We're less than a ten-minute walk from Plymouth train station and bus station. Download a PDF map of the University campus showing the location of The House. Plan your visit with maps and information on travel, journey times and parking by visiting our getting here page. View The House access guide on AccessAble.